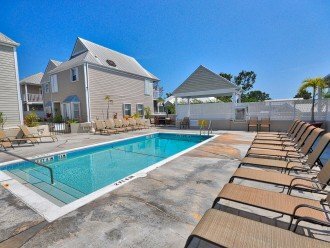 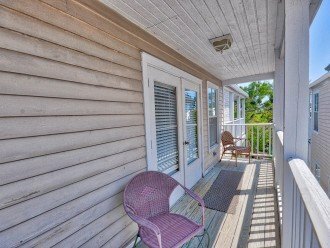 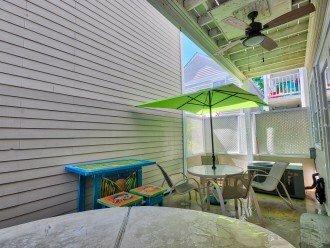 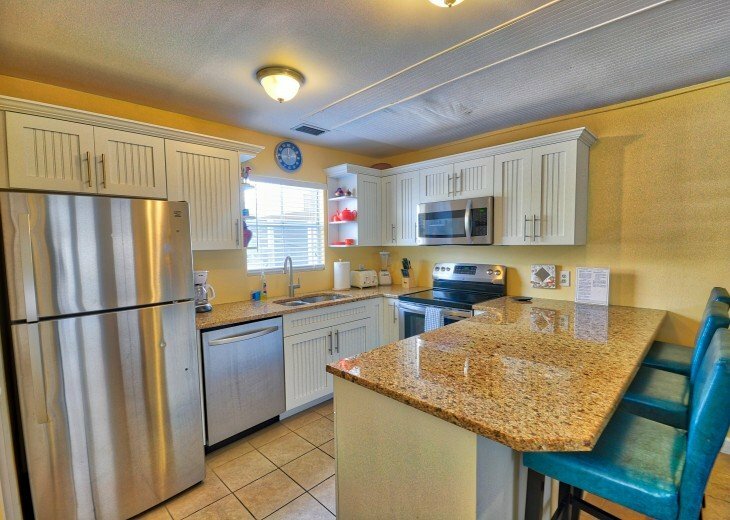 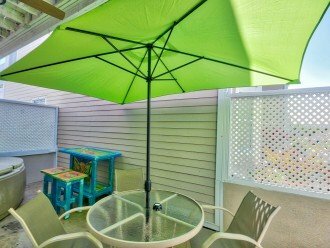 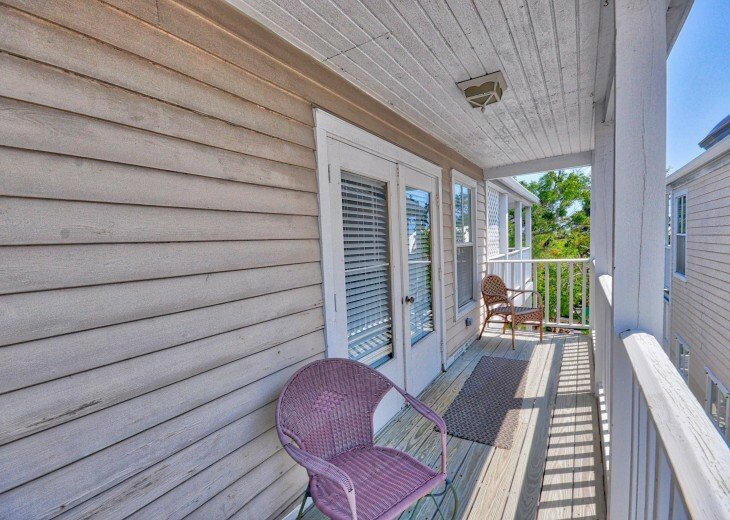 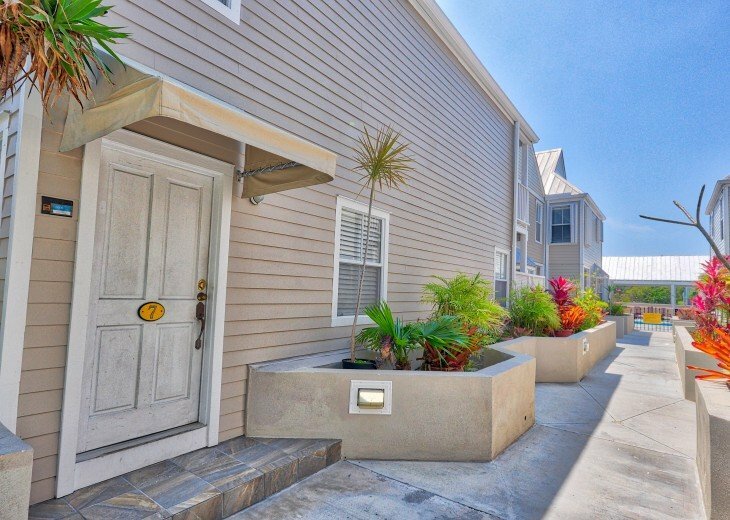 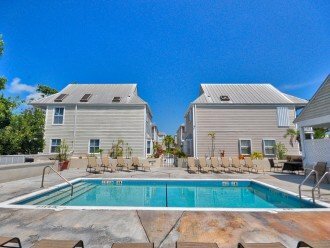 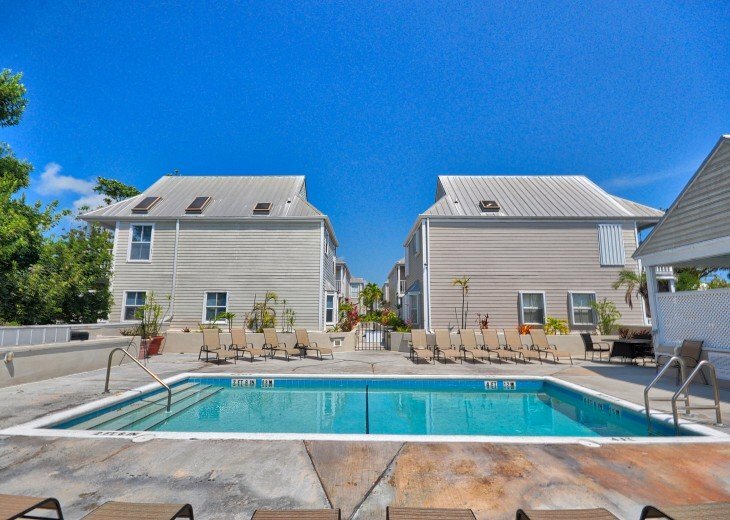 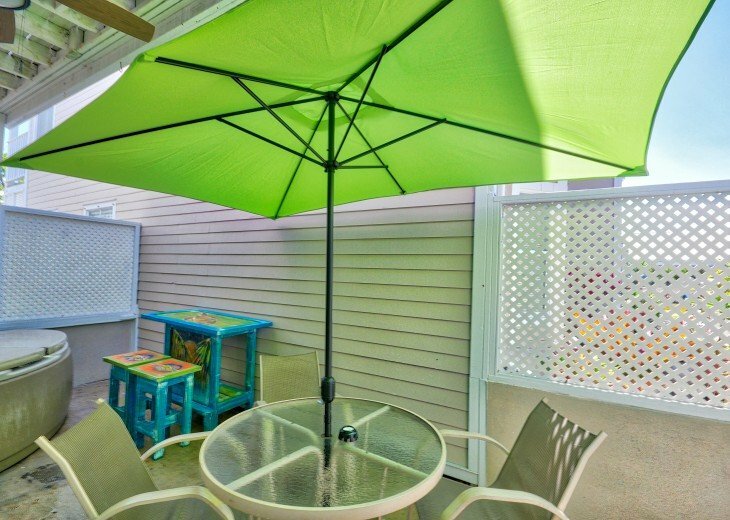 This 2 bedroom, 2.5 bath rooftop town home is located within the quaint community of Duval Square. 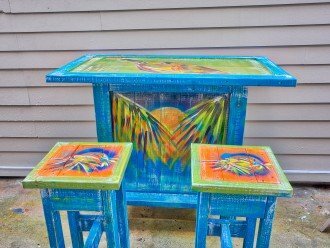 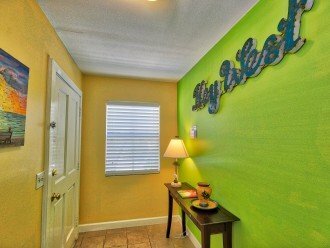 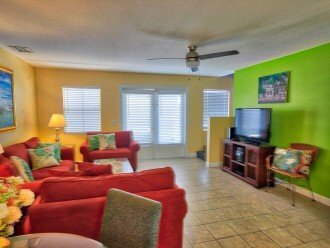 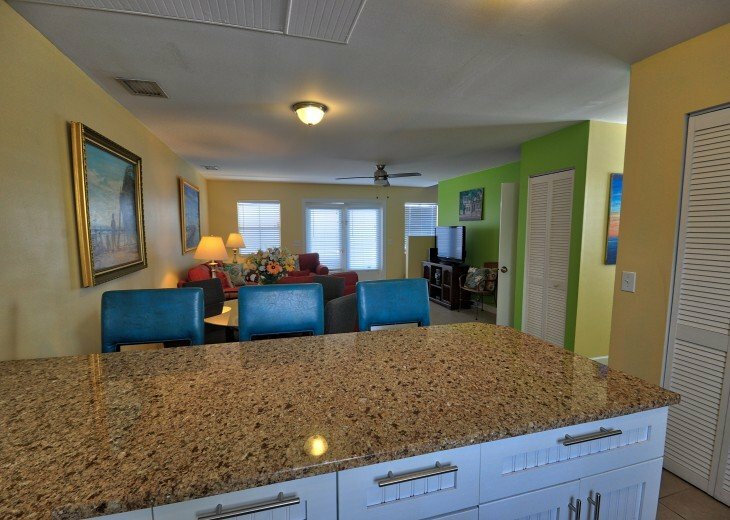 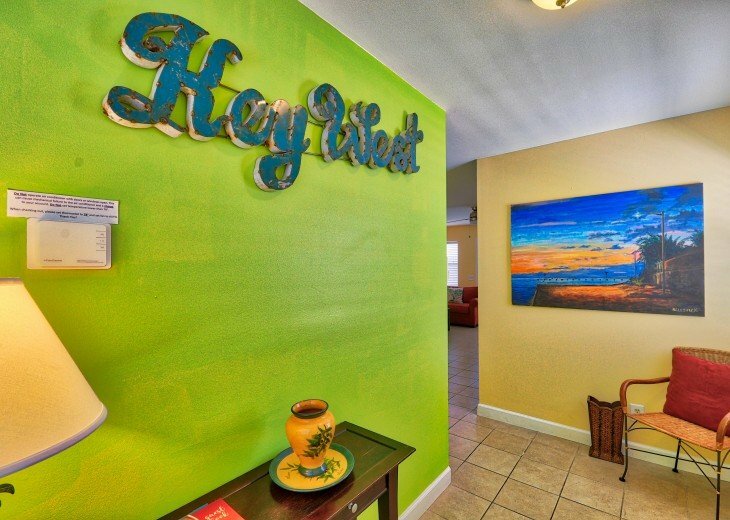 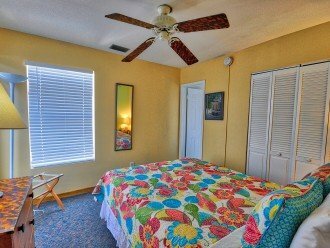 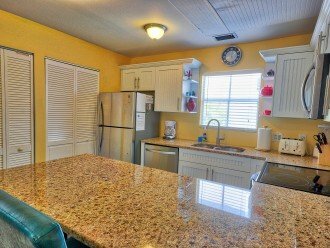 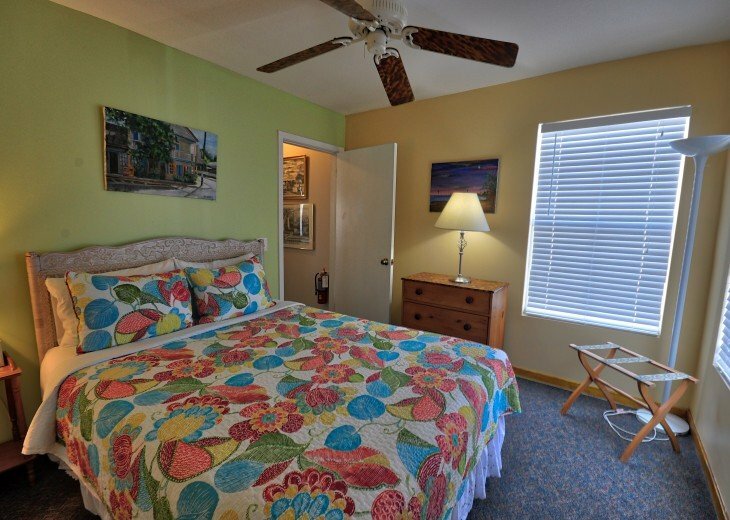 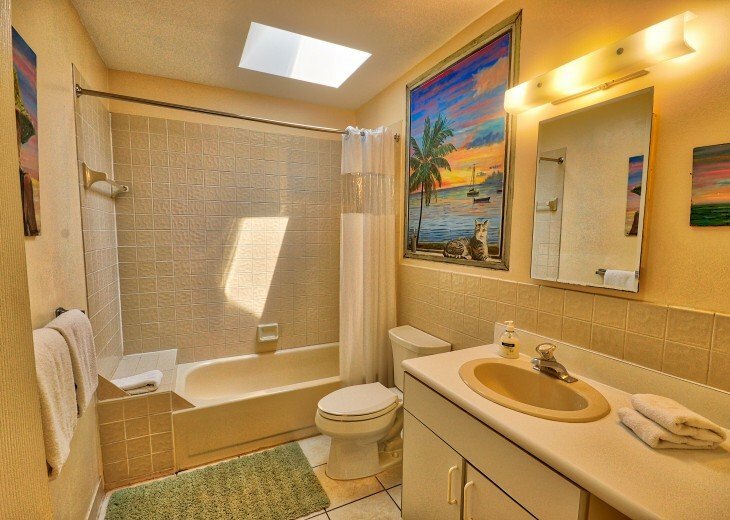 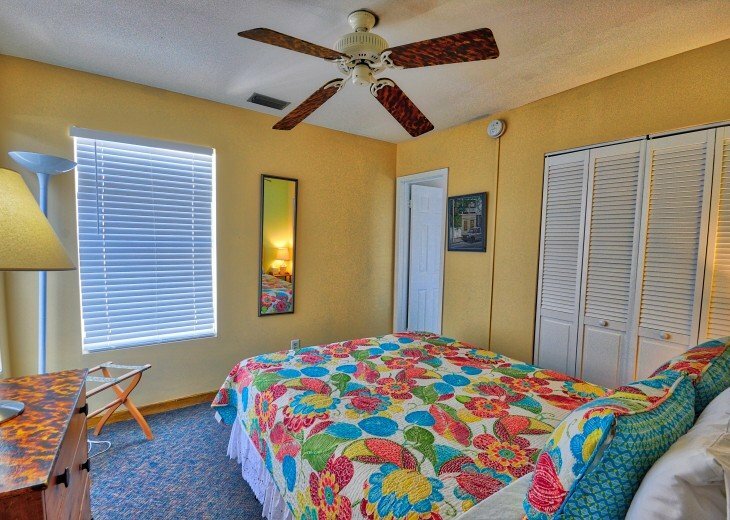 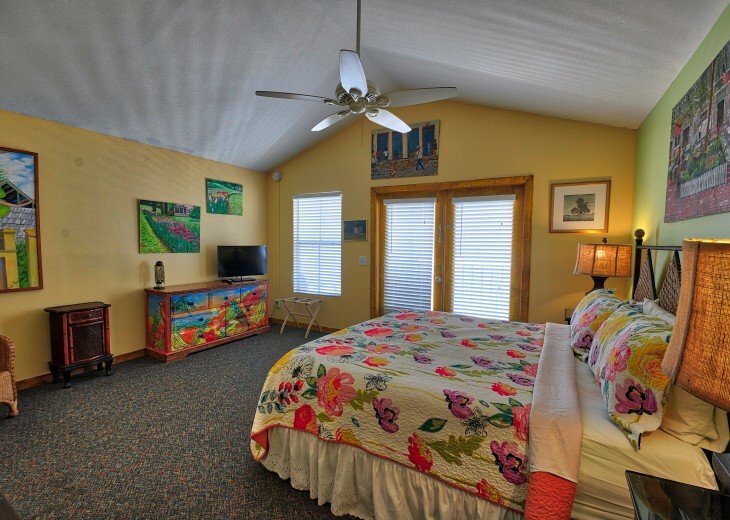 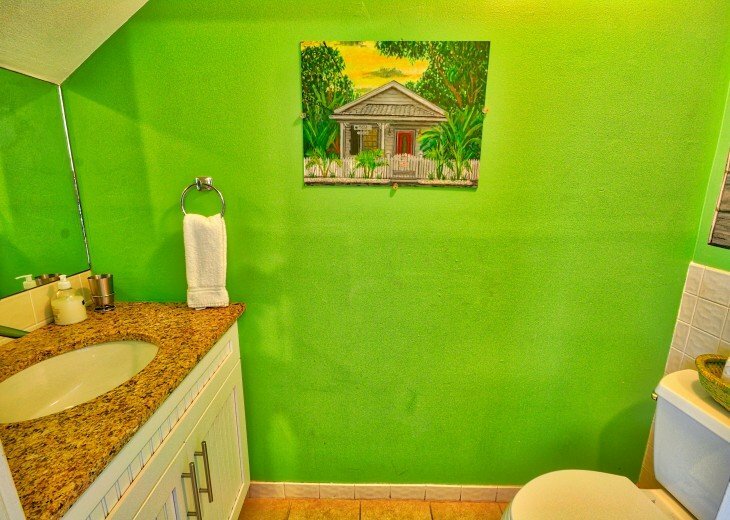 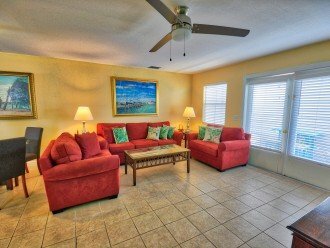 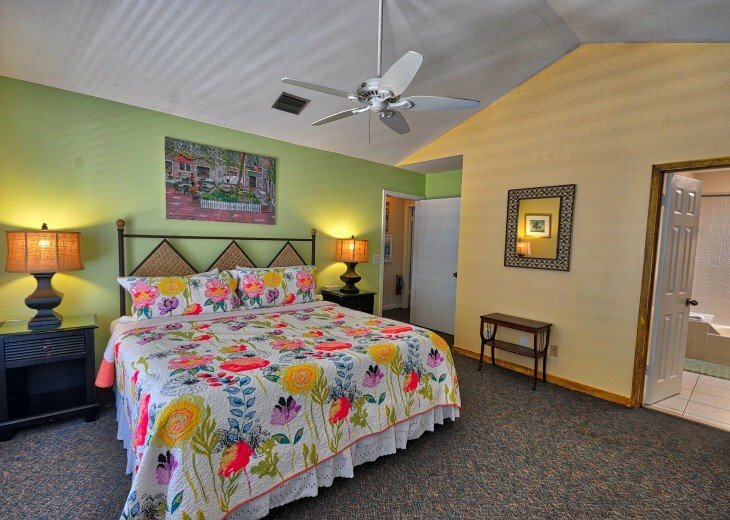 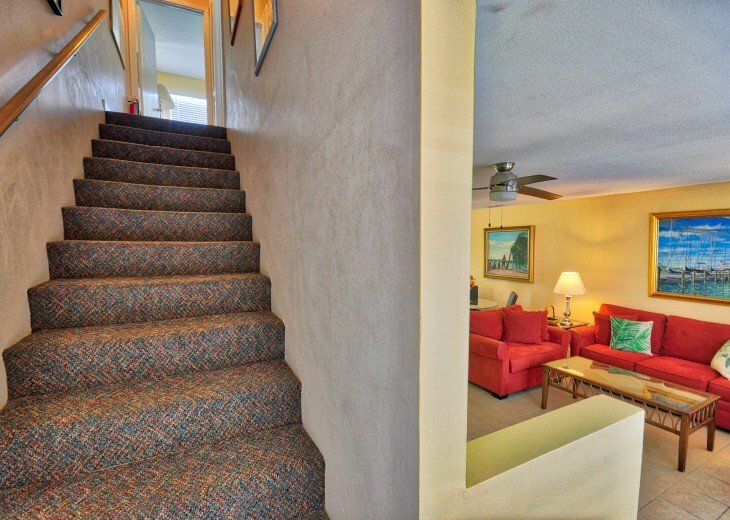 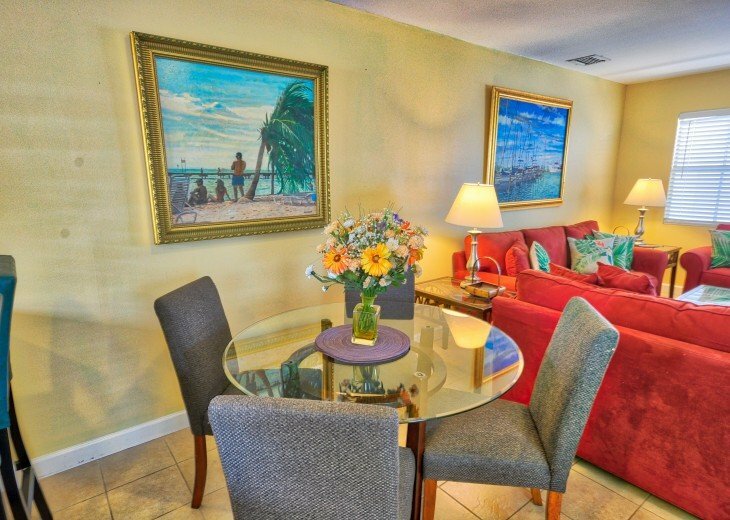 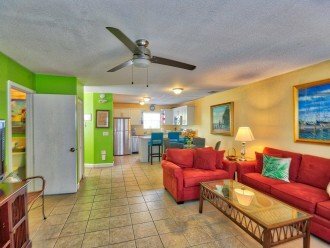 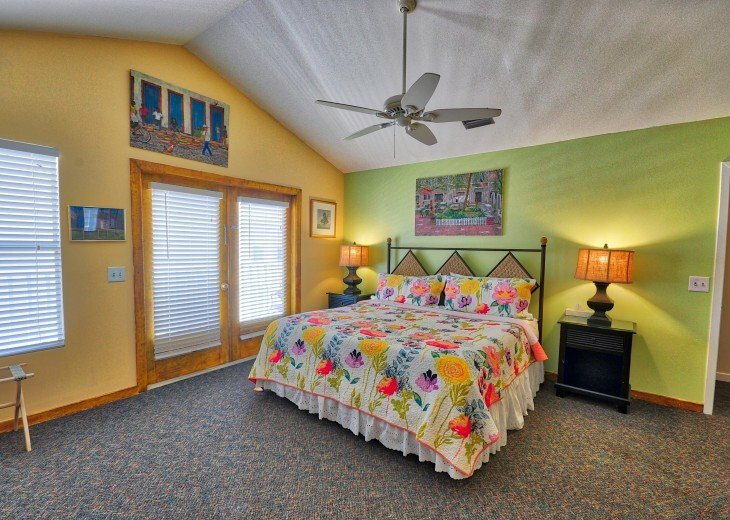 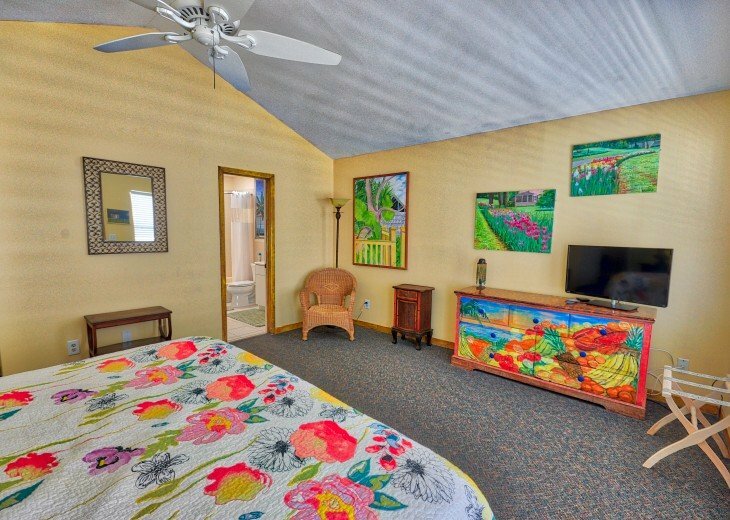 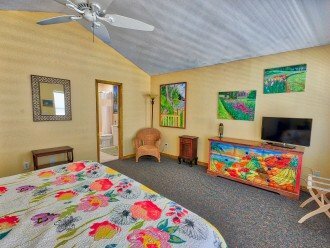 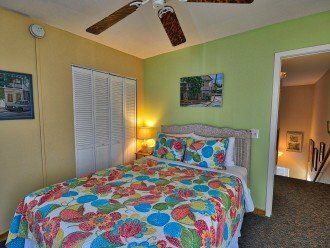 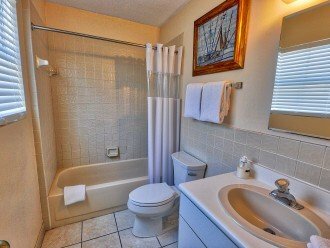 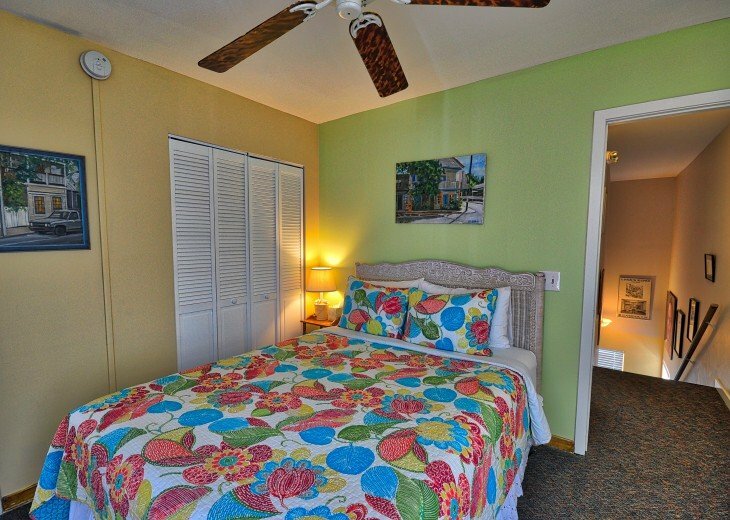 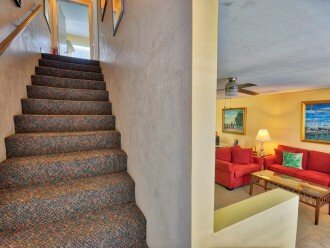 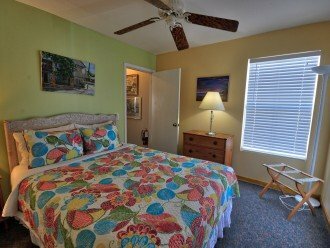 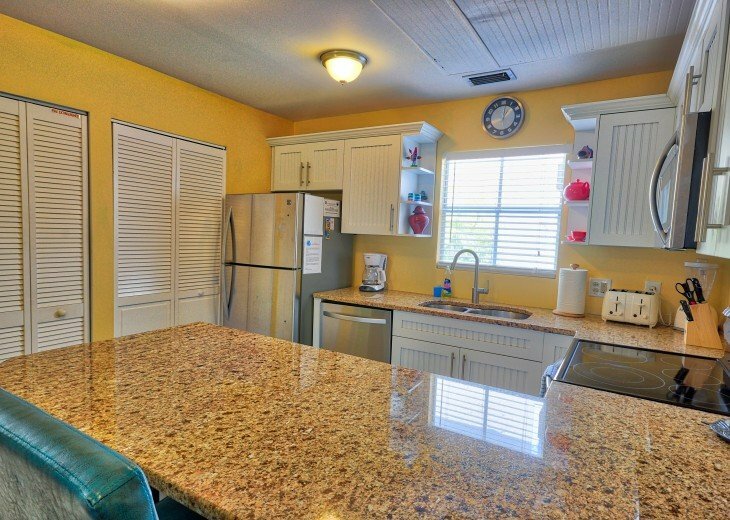 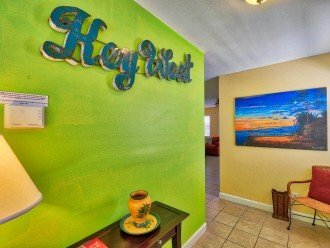 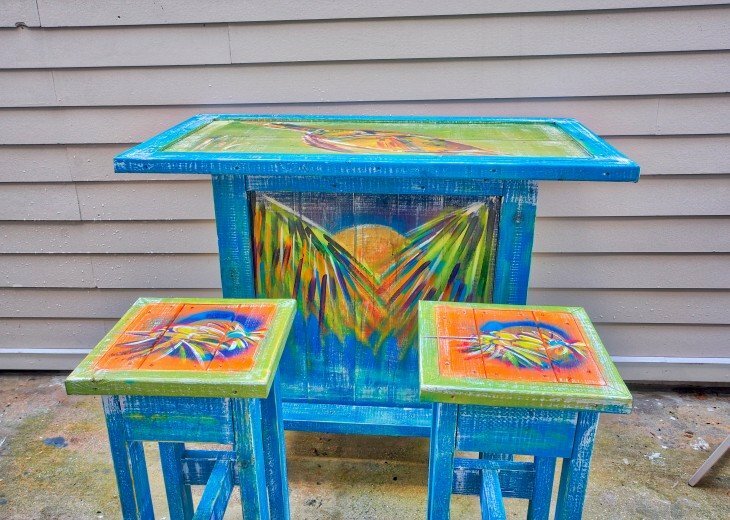 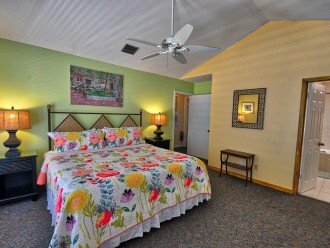 Beautifully decorated with bright colors and unique art work, this property will give you a great Key West experience and is perfectly located right in the heart of old town Key West. 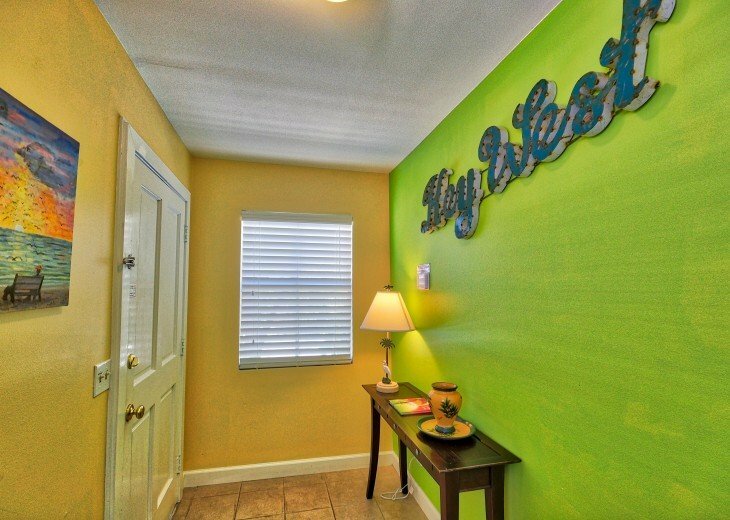 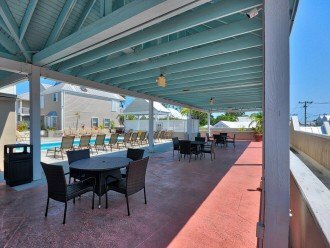 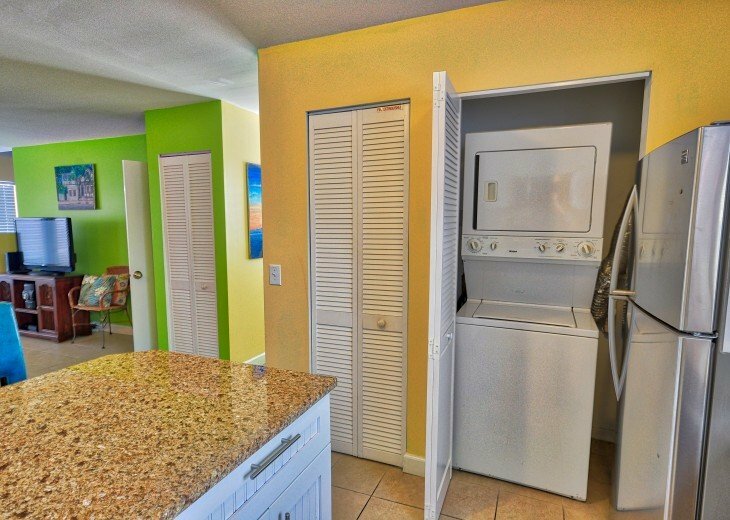 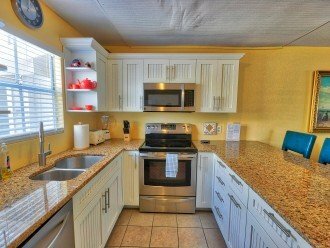 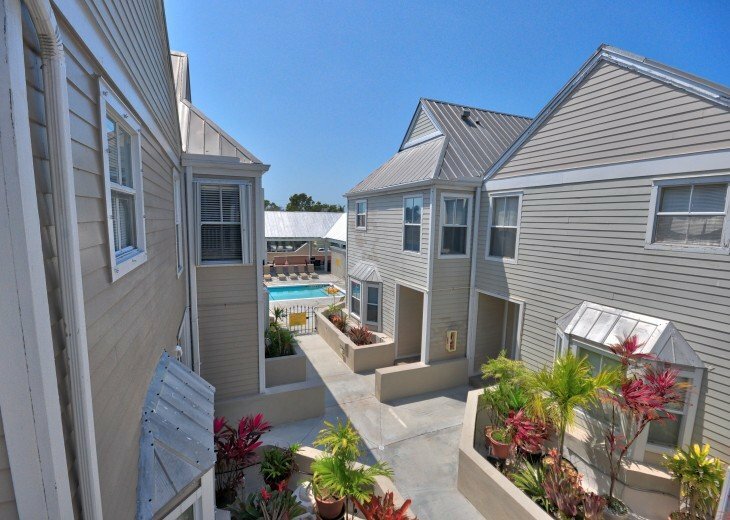 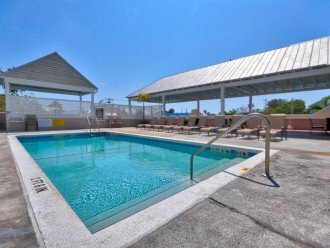 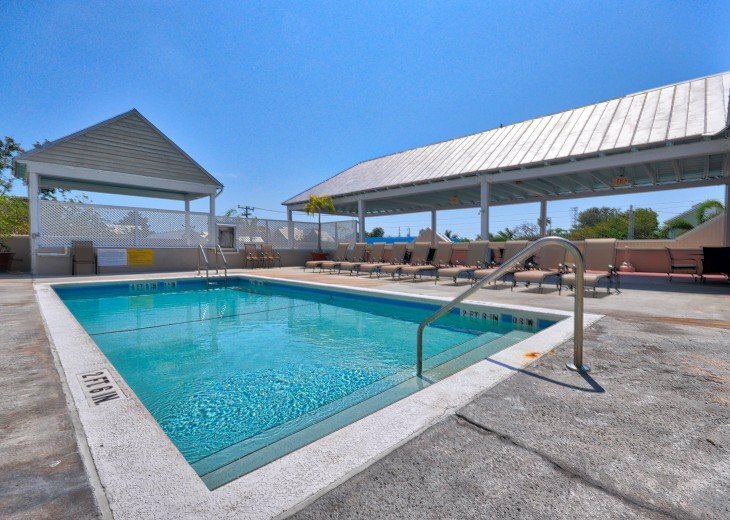 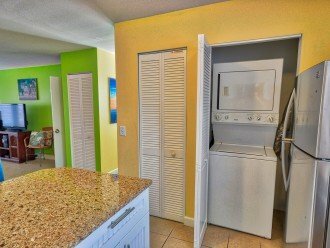 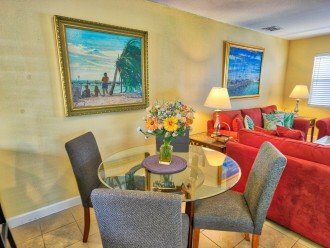 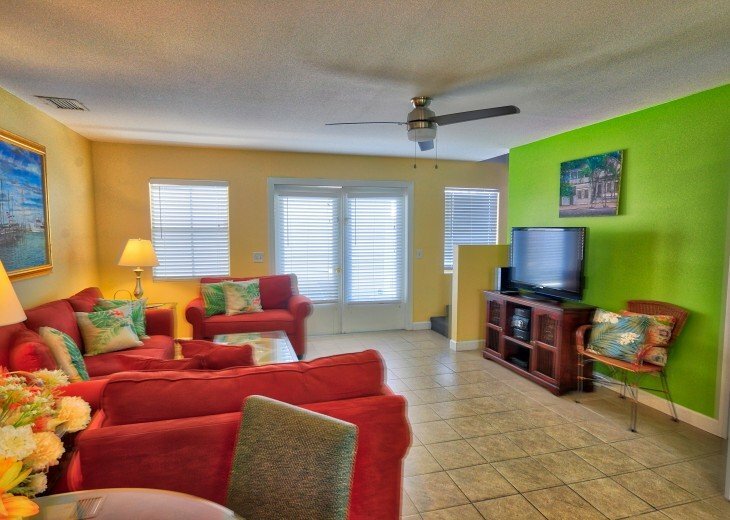 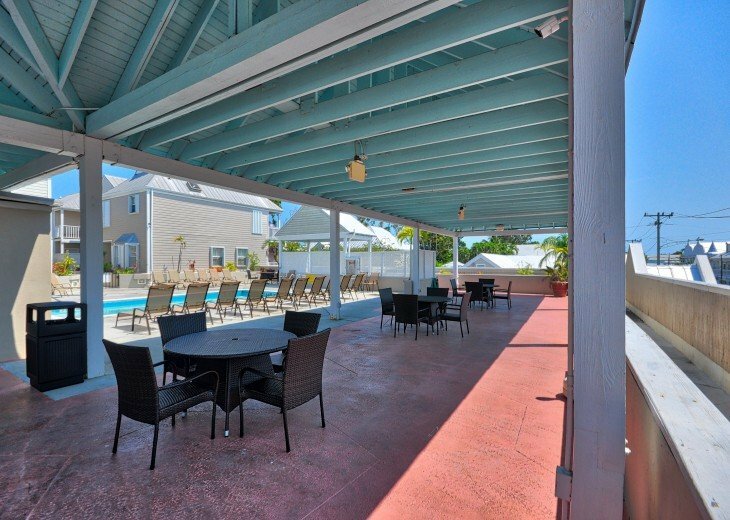 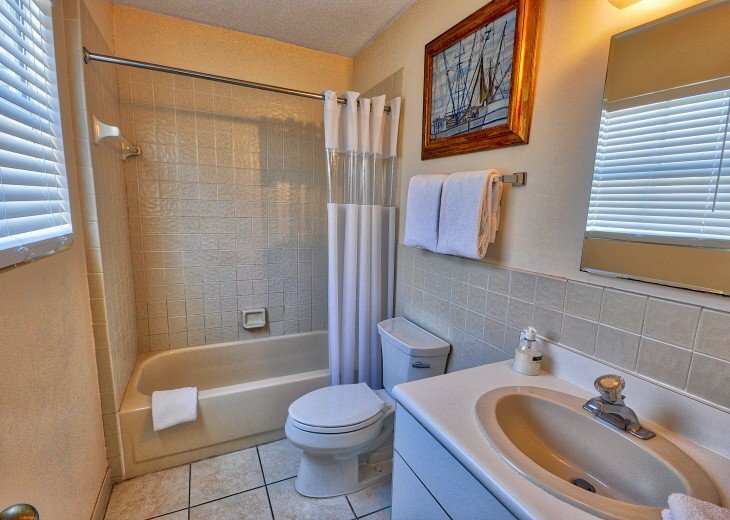 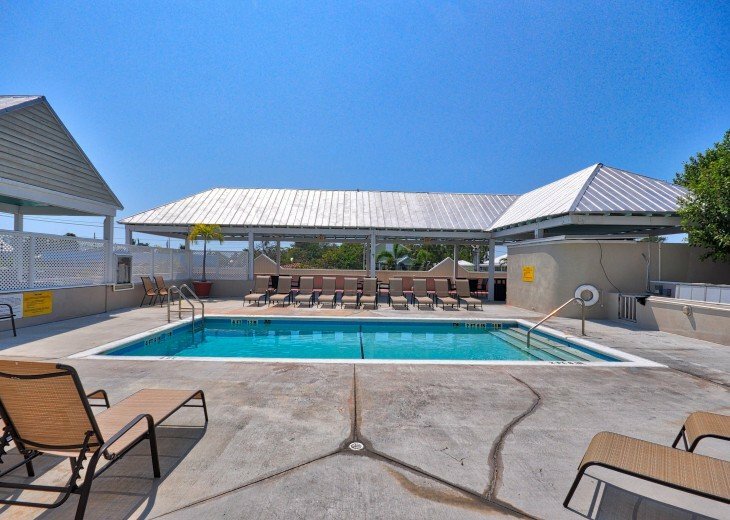 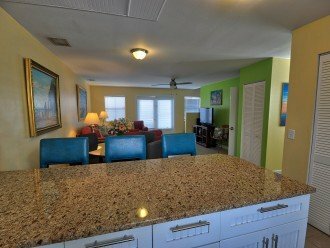 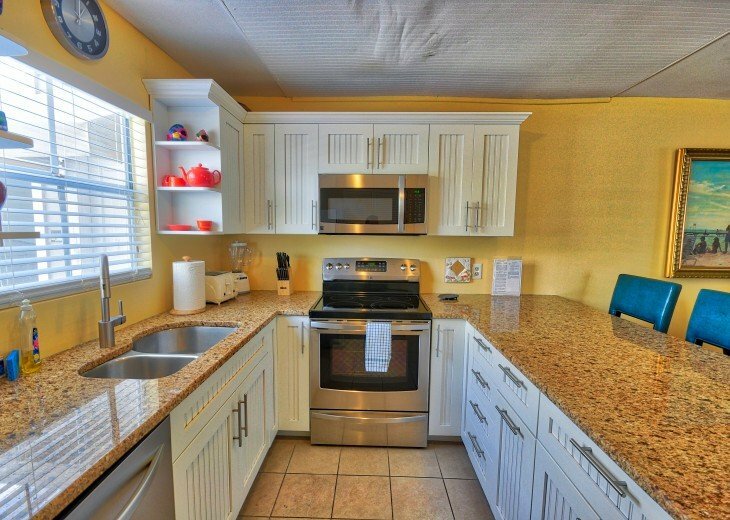 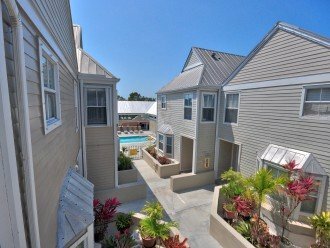 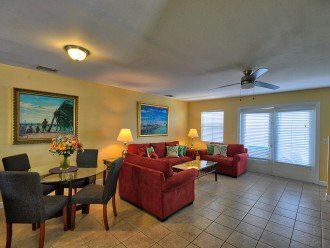 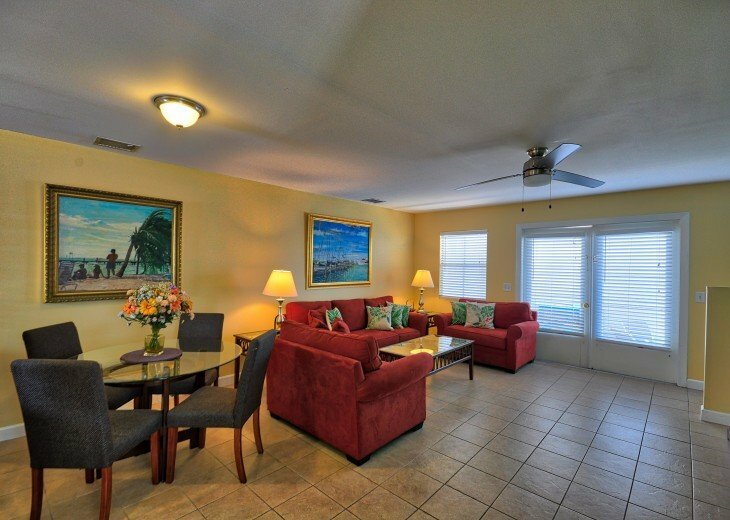 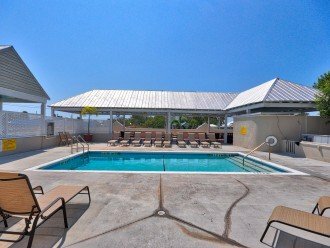 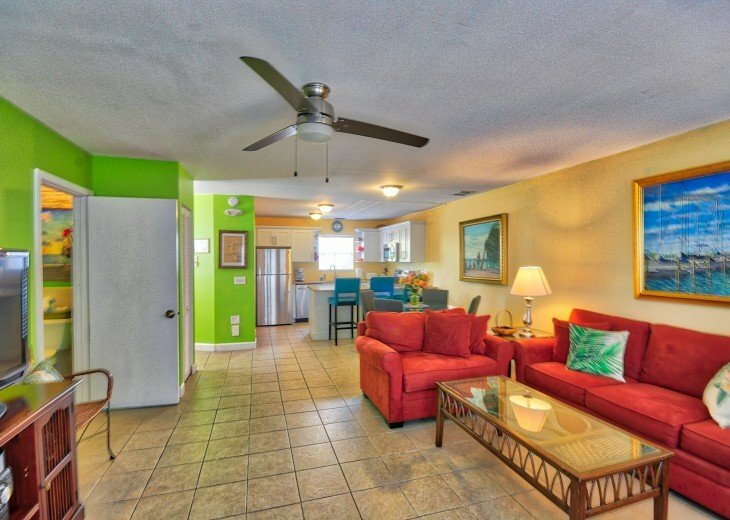 Park your car in the private, covered lot and walk to everything Key West has to offer! 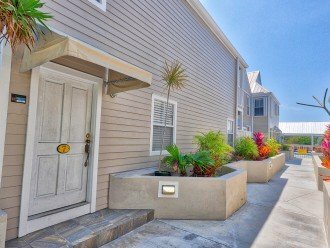 Duval Square is a charming, cobble-stoned community with shops and restaurants downstairs and quiet, private residences upstairs. 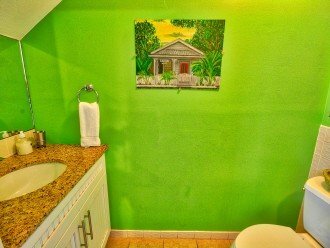 A cup of fresh Cuban coffee or a relaxing evening cocktail are just steps outside your door. 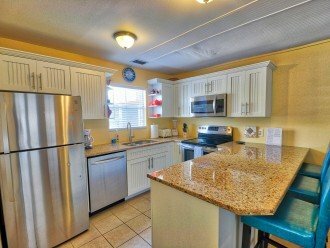 When you enter the home you will find a fully equipped kitchen, dining area, spacious living room and a convenient half bath. 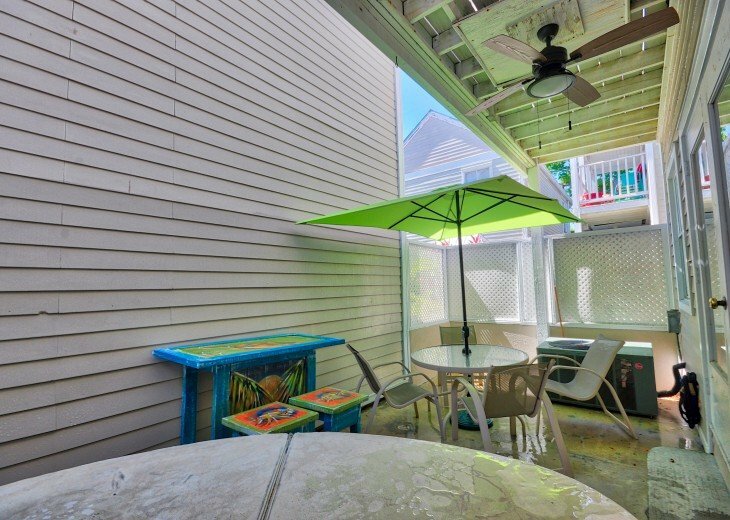 French doors let in the natural sunshine and open to the private back deck with dining table and chairs perfect for outdoor entertaining. 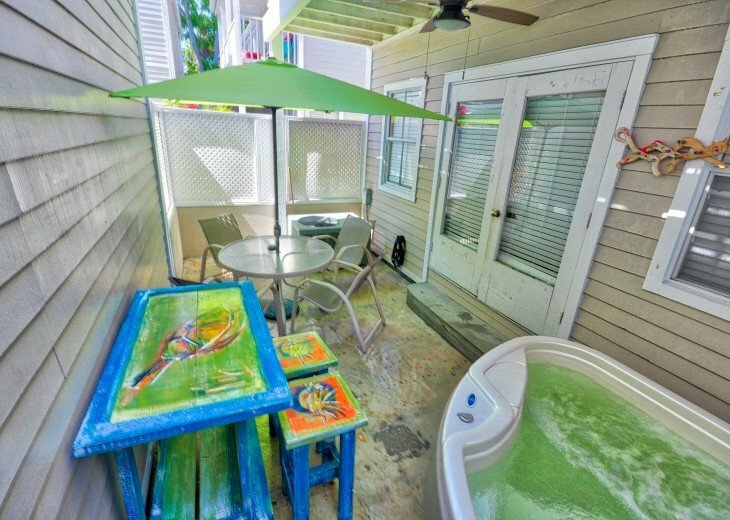 A private hot tub allows you to relax and unwind after a day of sun, swimming, and exploring Key West. 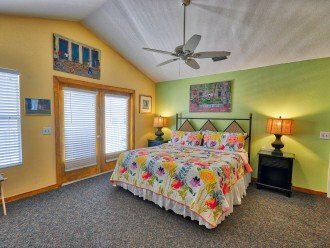 On the second floor, you will find 2 bedroom suites, each with their own private bathroom and an additional private balcony off the master suite. 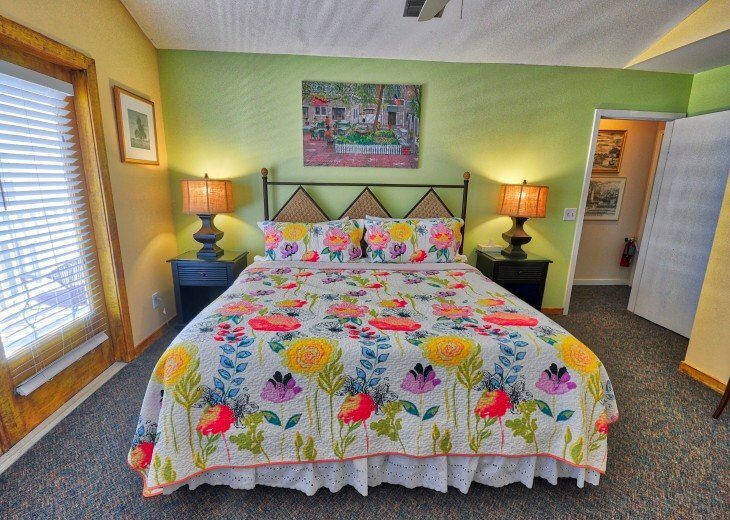 Bedding: 1 king, 1 queen, queen sleeper sofa.